Ever think you’d be jealous of … your blender? 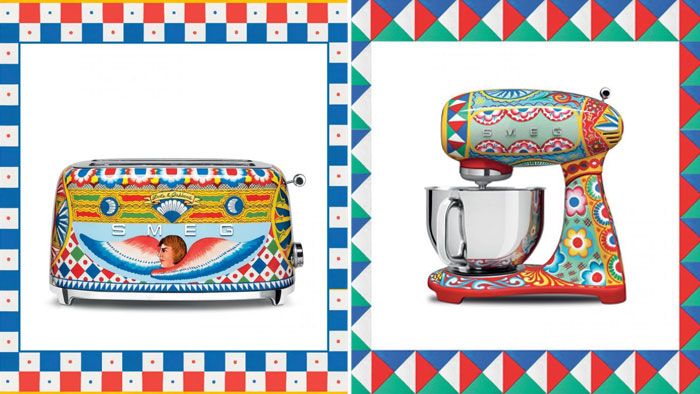 Trust Us: When you see Dolce & Gabbana’s new line of high-fashion kitchen items, you’ll have major (appliance) wardrobe envy. 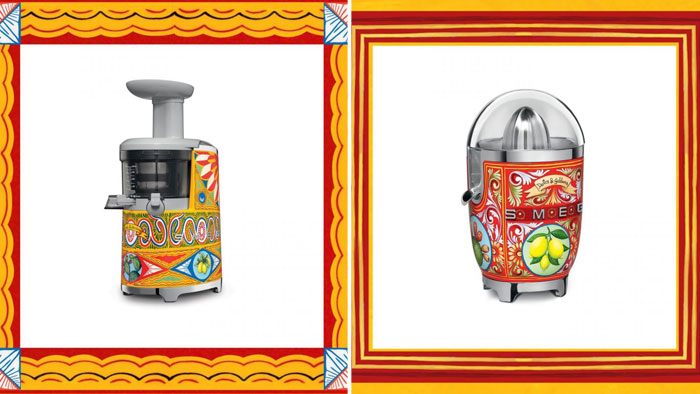 A year after the company teamed with Smeg on 100 hand-painted refrigerators, the brands are collaborating again on other bright, colorful pieces for your kitchen. The new line, called Sicily Is My Love, is inspired by southern Italy and Sicilian folklore. 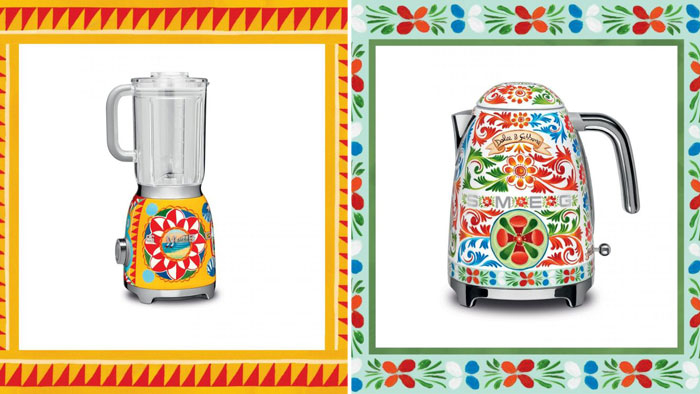 The eye-catching designs feature lemons, prickly pears and bright red cherries — but also floral patterns reminiscent of D&G’s popular runway looks. Toasters, citrus juicers, coffee machines, kettles, blenders, stand mixers and slow juicers will be available when the line launches in October. No word on price yet, but considering the refrigerators went for $34,000 apiece, be prepared to shell out some big bucks for these appliances. If you consider that each item is a true work of art — and will quickly become the focal point of your entire kitchen — you may find it’s worth the splurge!